The human mind is wondrous it is the most powerful tool known to man perfected it has the ability to change the world but sometimes you gravitate your mind choose a darker path may it be a result of an unfortunate experience, a psychological break or simply a sense of belief whatever the cause not always we make the best reliable decisions. Our mind being a paradox of mystery it is the role of a psychiatrist to unravel the mystery and make sense of it. A certified psychiatrist has to dedicate their lives to treat and diagnose mental illnesses and concerning behavioral disorders. in the present years the attributes of mental health have greatly risen when it comes to court cases. Especially when a mental illness is a contributing factor to the crime. Shown below are some of the most important instances in which a psychiatry report is essential in order to favor a fair trial. It is a widely known concept that criminal insanity is a legal defense that may be used to avoid criminal responsibility. Under this defense the defendant must prove that he suffered a critical health episode, an illness or a disease at the time he committed the crime. If the accused person is suspected of having or had a diagnosed mental illness it in essential by law for a pre sentence report to be concluded and confirmed by the psychiatrist experts and written in the psychiatry report. 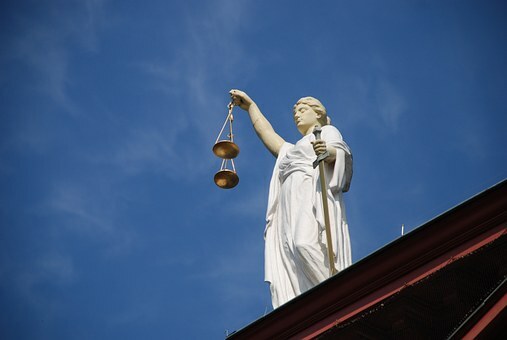 This information is crucial for the legal representative as the psychiatry can be directly shared with the court in order to ensure that the final verdict is given with the full knowledge of the defendants’ mental illness and how it has played its role in committing the crime rather than direct conscious intent. Mental illnesses should be taken seriously and not undermined. Without proper medical treatments or as a result of triggers mental illnesses can become aggravated and amplified which will result in a great deal of pain to the individual as well as his loved ones. When a psychiatric expert witness is instructed by the judge or the lawyer a complete analysis of the existing evidence and specialized psychiatric assessments are conducted to determine whether the mental illness is a contributing factor to the relevant case. If a mental illness is diagnosed it must be documented in the psychiatric court report which will be used as evidence when forming a formidable defense case. The branch of law that deals with an abundance of matters family law incorporates a great deal of cases including domestic abuse, divorce, violence, child custody etc. family law attorneys have to bear up the great task of achieving justice for their clients in their time of need. A psychiatry report can make a significant contribution where parenting and child welfare are concluded and even divorce matters. Through a psychiatry report one can determine whether the parent’s mental stability is sufficient enough to ensure the wellbeing of the child without the child being placed in any risk. The significance of a psychiatry report is prominent whenever the family law cases tends to take a more violent approach and to ensure a fair trial the judges will deeply rely on the said report before they pass the final verdict.